Suggestions for the Independence Day Speech for 70th celebration of the liberty of India, in accordance with PM Modi’s invitation through his radio program ‘Man ki Baat’! Jagran Josh wishes for all its readers a high thinking mind, free spirited soul and loads of good wishes. 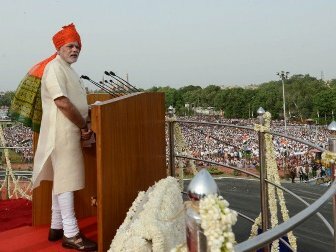 On the occasion of 70th Independence Day, the Prime Minister has urged citizens to suggest him about the ongoing issues of the country in order to include in his Independence Day speech. In his 22nd radio address through ‘Man ki Baat’ program, PM Modi has asked for ideas on various topics. Suggestions and ideas can be sent through mobile app or at MyGov. The major suggestion that needs to be highlighted is recruiting against the ‘unnoticed’ jobs lying vacant in leading government sectors. Highest vacancies have been traced in those sectors where human workforce is a must for smooth functioning. Major government functioning bodies like healthcare, internal and external security force, judiciary and education have much less manpower than the required capacity. The major concerns are these vacancies are ‘not notified’ and in many cases the recruitment process is ‘delayed’. Directly or indirectly, this affects the employment opportunity and the services provided by the organisations. Here are the suggestions, which are in dire requirement to reduce the huge vacancy in government sectors. Healthcare sector is the highly disorganized sector in terms of recruitment. Post 2014 election, plans were proposed for a nationwide universal health care system that would improvise the condition of public healthcare sector. The plan was to focus on the quality of care and treatment provided in government hospitals. The implementation of the plan has been delayed and the quality recruitment in leading government hospitals has also come to a halt. Citing the critical most example: Near about 870 vacancies are lying unnoticed at AIIMS. Considered to be the savior for the ailing people, the institute is itself crippled of shortage of manpower. Faculty posts are not filled at Safdarjung Hospital, Ram Manohar Lohiya Hospital and Lady Hardinge Medical College. In addition to this, Senior and Junior Resident vacancies are also lying vacant in notable hospitals and colleges of the capital city of the country. The defence barricade of the nation is running short of manpower, the biggest requirement for it to accomplish its functionalities. The manpower required for safeguarding the nation at international and inter-State borders is weak. The safety and security of the citizens is thus put at stake! The most highlighted example here is that more than 60000 vacancies are unfilled in Sashastra Seema Bal (SSB) and Central Industrial Security Force (CISF). The much coveted UPSC-IPS cadres are vacant for 900 posts, the majority of which are from the highest populated States of the country like UP, Odisha, Madhya Pradesh, Maharashtra and West Bengal. The recruitment status of State Police Boards is in a similar situation! Out of the proposed capacity nearly 10-15% posts are lying vacant. This gap is huge enough considering the fast growing population of the country. Judicial system is another twin concern of the country after safety and security. It’s appalling to note that near about 40% vacancies exist in High Courts. With more than 2.8 crore pending cases and vacant seats in the Courts, the judiciary system is deprived of justice, it seems! Despite several recommendations and initiatives the recruitment process is sluggish. The highest numbers of judge vacancies are in Gujarat, Bihar, Karnataka and Maharashtra. Procedural haphazard, delayed justice, pending judgment and again lack of credibility is going to be the fate of tomorrow. Education sector creates manpower for others! And it is disappointing to note that this is one of the most neglected sectors. Huge vacancies are observed in higher education level. 924 faculty posts are unfilled in 40 central universities. One of the premiere educational institutes of the country, Delhi University, has 60% of its faculty posts vacant. Schools are affected the worst! Lakh of teacher posts are vacant and the recruitment process is completely unnoticed, thus disrupting the education imparting process. We boast of education programmes like Beti Bachao Beti Padhao and Udaan and we see schools running without teachers. While we urge students to join schools, we witness teacher shortage to be a major issue. Proper education can definitely develop the nation, but not without teachers! Women reservation in government jobs should be given more importance. In government sectors, female gender has a poor participation. Relaxation in terms of educational qualification, age limit or number of exam attempts if allowed can give females a better opportunity. Creating women specific posts in every government sector will be a great initiative. Let alone gender empowerment, this will also generate ample of employment opportunity. For example forming women task force at root level, say districts, will make the grievance redressal of female complainants easier and more transparent. ‘Untraced’ government vacancies and delayed recruitment process are the sole reasons why government is losing talent workforce for its functions and operations. In other way, these are also reducing the faith of aspirants. Undoubtedly, youths are crazy for government job, but at the same time there are few (literally, the ones with a good vision) who seriously doubt the transparency of recruiting bodies. Despite several recruitment procedures, the posts are still lying vacant. The most common reason cited by government bodies is ‘lack of suitable candidates’. It’s time to induce changes in eligibility criteria. Norms and regulations must be revised properly. The present job profile and post requirements need to be analysed properly so that eligible candidates do not miss the opportunity. Recently, in the Chhattisgarh district judge recruitment (direct recruitment) not a single candidate qualified for interview. After the eligibility check none of the candidates were found to be suitable. What impact these suggestions ought to make, if implemented? Opportunities will be created, in plenty! Scope of employment will increase along with smooth functioning of government bodies. This will promote gender equality and equal opportunity in all government sectors. The strength of the right talent must never be blemished and should never go unnoticed. *Note: Facts and figures are based on media reports and speeches from representatives.